On the 15th anniversary of the Second Vatican Council, William Crawley and guests discuss its legacy and its significance for the future of the Catholic Church. Fifty years ago, the Catholic Church made radical changes. As he opened the biggest gathering of Roman Catholic bishops in history, Pope John the 23rd said it was time to throw open the windows of the church. The Second Vatican Council sent the church hurtling into the 20th Century. After three years of meetings, the Council produced 16 documents – a bold manifesto for modernisation and renewal. It changed the language and style of the mass, permitting Catholics to worship in their own tongue, rather than in Latin. It also called for a new engagement with other faiths, the secular world and with the experiences of Catholics across the globe – men and women, rich and poor. In this special edition of Heart and Soul, William Crawley considers the legacy of Vatican II. He is joined by Dr Gemma Simmonds – a Sister of the Congregation of Jesus and a lecturer in theology at the University of London; Mario Aguilar – Professor of Religion and Politics at St Andrews University in Scotland and an expert in Latin American and African theology; Christopher Ferrara – President of the American Catholic Lawyers Association and author of The Great Façade: Vatican II and the Regime of Novelty in the Catholic Church; and the Right Reverend Kieran Conry – Bishop of Arundel and Brighton in the south of England. 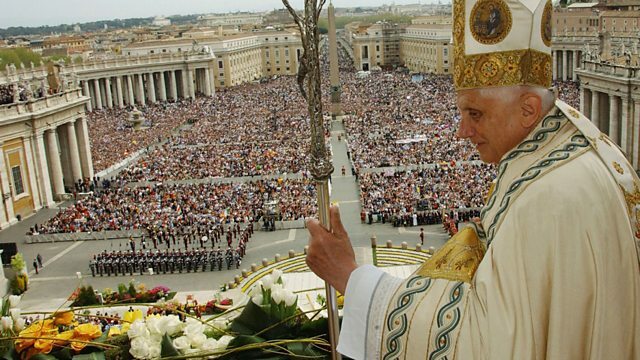 The programme asks what do the teachings of Vatican II mean for the nearly 1.2 billion Catholics in the world today? Did it go too far – or not far enough? And what role will the Council play in the Church of the future?